Everyone seems to be super excited about the upcoming Spider-Man: Homecoming, the first Spider-Man film taking place in the beloved Marvel Cinematic Universe! The Blot’s expecting a ton of awesome tie-in toys to coincide with the film’s release, including this awesome Spider-Man: Homecoming Minimates Series by Diamond Select Toys. 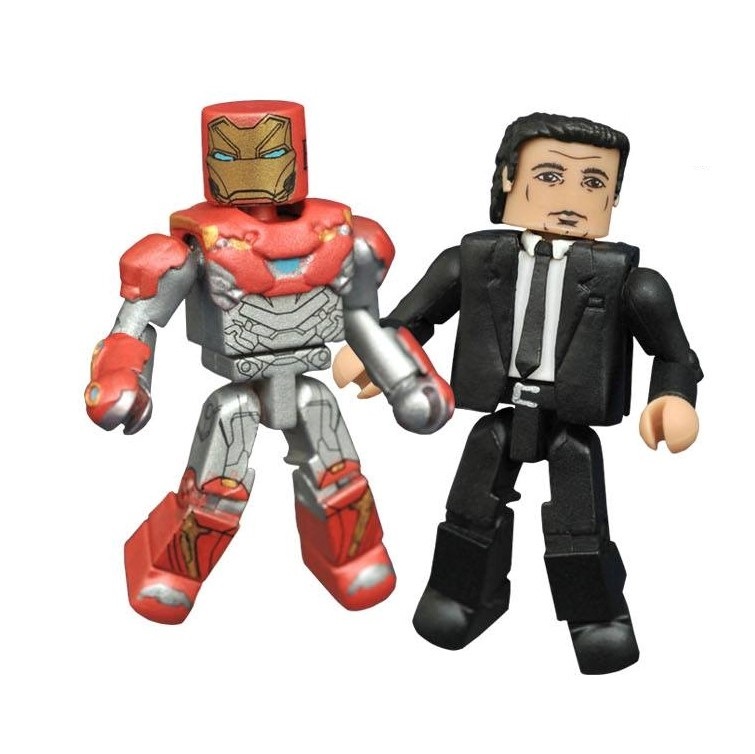 This new Minimates series includes five 2 packs: “Homemade Suit” Spider-Man with the Vulture, Spider-Man with Shocker, Peter Parker with Aunt May (Previews Exclusive), Battle Damaged Spider-Man with Tinkerer (Previews Exclusive), and Iron Man Mark 46 with Happy Hogan (TRU Exclusive). 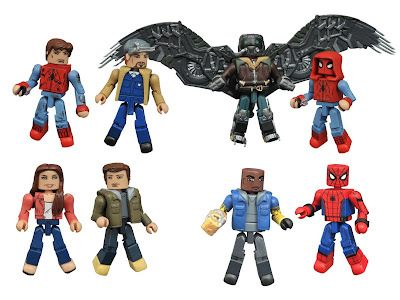 Each Spider-Man: Homecoming Marvel Minimates Set includes two 2” mini figures featuring 14 points of articulation and a variety of interchangeable parts and accessories. Fans can pre-order a case of this series (not including the Toys R Us exclusive set) now at Entertainment Earth for $99.99 here.